I was asked to give the “spoken reflection” at tonight’s Celtic Worship Service at University Baptist Church, and thought I would post my reflection here with a couple of pics. The focal passage is the famous “Good Samaritan” story in Luke 10, which I find very thought-provoking in light of the increased divisiveness and media focus on racism of late in our society. I have done a great deal of introspection on these topics in recent months and even thought of making an Ancient Dan blog post entitled “Confessions of a former Racist.” But my wife and daughter wisely advised against it. The “Good Samaritan” story, I think, provides a way to express my thoughts in a better way. First, a quick look at the “Good Samaritan” account as I see it. Jesus tells the story in response to the question, “and who is my neighbor?” in the context of discussing the Jewish Law. In it, a man is assaulted by bandits and left for dead along the road between Jerusalem and Jericho. The geography is important here, as it is a desolate road through unoccupied desert, where there were no neighbors. As Jesus narrates, a priest came along the road and we expect that this religious man will help our unfortunate victim. But, alas, on this road a priest would be headed up to Jerusalem where he would serve his week-long rotation in the Temple. It was the highest religious duty in the Jewish Law and could not be compromised by uncleanness imputed by blood from the victim or—worse—contamination by his corpse should the man be found dead or die whilst receiving aid. The priest crossed to the other side and passed by. And the hearers of this story—all Jews—were not in the least surprised or judgmental. All the same logic was true for the Levite that happened along next. None of those listening expected that he would stop either. What crummy luck; our victim was having a really bad day. But then in Jesus’ telling there is another who appears and nears—a Samaritan! While we now think of “Good Samaritans” or even just “Samaritans” as helpers, this notion destroys the gist of the story. To the Jew, a Samaritan was the worst of rivals. Jesus’ listeners no doubt expected this “bad” (by their definition) Samaritan to stomp on the victim’s head and finish the job. The bad day, they thought, was now the worst of days. He of course, as we know, demonstrated the proper action of kindness. But this story is not about how to treat others; it is really about how we perceive them. I have been doing a lot of thinking lately about how I perceive others. I am a white, Anglo-Saxon, protestant heterosexual man. I was raised in a “middle-class” American home which, by any world-wide standard, was a life of privilege. So I am a potential poster-boy for racist and intolerant views. Nevertheless, I’ve always denied that I was bigoted or intolerant. In my extended family, I cannot ever recall having heard the “N” word used or any other racial or discriminatory epithet. BUT, that is a poor gauge on how I have perceived others. Like most folks, I learned from my youth to categorize people with labels like, “the black guy,” “the Mexican woman,” “the gay dude” or “the Alabama Crimson Tide sidewalk fan.” So this is not so much the confession of a former racist, but the admission of an unconscious tribalist. I am convinced that human beings have an innate tendency for group identification, like the herd or pack instincts of other mammals. Unfortunately, in “civilized” human society it is somehow easier to identify one’s group by isolating those who are not part of it—through creation of the “other.” This is easiest with obvious differences like skin color, but the principle is the same for all discriminations. It is sometimes observed that when the “lawyer” responded to Jesus, he was unwilling to use the designation “Samaritan” because of his disdain for that group. He responded, “the one who showed mercy on him.” The Jewish-Samaritan divide was severe, to be sure, but it was not due to physical difference. The Samaritans were—as an ethnic group—half Israelite. They were the other monotheistic minority in the early Roman Empire period, worshipping the same God as Israel and practicing circumcision like the Jews. The Romans could not tell the difference between Samaritans and Jews that were naked and talking about God. Tribalism and details of theology had created the schism. It is true that the Samaritan demonstrates that all are our potential neighbors. But I wonder if the lawyer really got it right with his generic description. The main point may be how we perceive others upon first glance or knowledge. Do I continue using categories and labels for people, or can I see them generically, all capable of good and mercy. This is the challenge, and Jesus consistently points me—and all of us—in the direction of acceptance. Here in South Mississippi it appears that Winter has largely ceded the environment to an early Spring, but with emphasis on precipitation. There does seem to be a LOT of water available up in the atmosphere. Those observations are my excuse to post this POTD of a receding glacier. Sadly, that is the current state of all glaciers. I was reminded of this by looking at my location for this pic on Google Earth, which indicates my position well within the glacier ice. Why? Google Earth’s current imagery of the area (as of this writing) is four years previous (2014-08-02) to the photo (2018-07-11), when the glacier was significantly more extended. You can see this too by zooming way in on the “South Sawyer Glacier” item in the map of POTD sites (note that the icon is where the camera was when the picture was made). This is the South Sawyer Glacier, at one of branches at the end of Tracy Arm Fjord, some 30 miles south of Juneau, Alaska. The blue color of glacier ice is pretty cool . . . but I am not sure this pic does the scene justice. Continuing and concluding my series on the Winter Solstice, we now turn to the question of its relation to the date for Christmas. The moment of the Winter Solstice generally occurs on 20-21 December in our current Gregorian Calendar. With Christmas set at 25 December, the relation between the two would appear merely coincidental. But there is a bit of history and controversy about the matter, obliquely referenced by today’s “Doonesbury” comic. This brief look cannot explore the full and complicated story; so, for the nerds I have supplied endnotes with clues to further information. The date of Jesus’ birth is not given by the Bible and cannot be known with any certainty. Many commentators have noted that late December is quite unlikely, given details in the gospels’ nativity accounts—but I will not go into that here. The earliest Christian writers give various speculative dates for the event, but none on 25 December. The second-century church father Origen even decried birthday celebrations in general as a pagan practice (Origen, Homilies on Leviticus 8)! It was in the AD 330s that 25 December was first promoted as a feast day to celebrate Christ’s birth, but only in Rome. By the 380s the date as accepted in Asia Minor, and by the 540s in Egypt. Other churches, especially in the East, continued to observe 6 January, Epiphany, as the Nativity (even to the present). But why focus on 25 December and why did that date generally prevail? Conventional scholarly treatments argue that the choice was dictated by pagan practice, initiated by the Emperor Aurelian in AD 274. In that year, the argument goes, Aurelian decreed 25 December as the birthday and festival of Sol Invictus, “the unconquerable Sun,” and dedicated a new temple to the god with monotheistic overtones. What does all this have to do with the Winter Solstice? In the Julian calendar in use at the time, the solstice fell on 25 December. Christians then, it is argued, either: 1) began to celebrate the birth of Christ on 25 December under the cover of the pagan solstice holiday to avoid persecution; or 2) later declared Sol’s birthday to be that of Christ in order to usurp it and suppress pagan practice. The argument makes sense but is not as solid as usually assumed. The assumption that Aurelian established a major cult festival for Sol Invictus on 25 December is based on combining the difference references with the Christian date in mind. While the connection is possible, perhaps probable, it is far from proven. Indeed, scholarly arguments construct a “Christian versus pagan” atmosphere that may not have existed at all. The posited cultural struggle continues to play out today, as seen in several websites dedicated to “proving” that Jesus was really born on 25 December—one way to defeat the pagans. I see a continuation of the manufactured conflict in contemporary debate about correct salutations of this time of year—thus the relevance of the “Doonesbury” cartoon cited above. The divisiveness present in American politics these days encourages me (rightly) to avoid dogmatic political statements. But for holiday greetings, I am at a loss. I tend to use “Merry Christmas” and “Seasons Greetings” interchangeably without thought, as I did in the 1960s and 70s. But even that has become (in my opinion) unnecessarily burdened. I resent that if I say “Happy Holidays” or “Seasons Greetings” I am liable to the charge of paganism, or if I say “Merry Christmas,” I am accused of some attempt to impose my beliefs on others. <Sigh>. Debates like this generally go nowhere when ideology directs argument, especially in religious matters. For the Winter Solstice and Christmas question, I suggest a practical, “real-life” examination. In popular religion—as distinct from “official” tenets and practice—much borrowing of ideas and imagery occur. Such borrowing does not imply doctrinal syncretism or usurpage as much as cultural trends or symbols of comfort. The depiction of angels in Christian art as winged children, for example, does not mean that the artists or admirers of the work were secret pagans with a thing for Eros! Sol Invictus, the Greek Helios, is depicted in a fiery chariot with rays emanating from his head. Oddly, his image appears at the center of zodiac scenes on mosaic floors of several Jewish synagogues in Israel. Did the aniconic Jews suddenly become pagan idolaters? Certainly not. So, what’s with those mosaics in so many different synagogues? Maybe . . . they just liked it that way. Popular culture trends are often counter-intuitive and hard to explain. One view holds that the Helios/Sol image simply represents the sun as a symbol of order and not a deity;  much like smiling sun faces on grandfather clocks. Perhaps the most interesting Helios/Sol image is found in a tomb in the necropolis under St. Peter’s Basilica in the Vatican. Mausoleum M contains an image, clearly of Helios/Sol, interpreted as representing Christ. Other details of the tomb are interpreted as Christian by Vatican scholars, obviously motivated to find Christianity in the necropolis containing the apparent tomb of St. Peter. They understand, however, that a Christian tomb depicting Christ in the manner of Sol Invictus does not threaten their theology nor invalidate the tomb owner’s faith. So, could early Christians have chosen to celebrate the birth of Christ—an actual date unknown to them—at the season when the gloom of winter begins to reverse and the sun’s warmth begins to make a comeback? I think they could; whether or not a Roman Emperor decided to mark the birth of Sol in the same season. I also hope they could use the situation to explain their own views in an inviting way, taking advantage of the halcyon days a holiday can bring. And, I have decided that I can hear (or say!) “Seasons Greetings” and know why the season itself is special. And if I hear or say “Merry Christmas,” I will also think of why Jesus’ birth is celebrated in this season. *If you get this reference, you are either pretty old or pretty cool (or both). I have read “Doonesbury” daily since my matriculation at Georgia Tech in September 1974, where the then-weekly student newspaper, Technique, published the week’s strips. I should add, in the spirit of this post, that I do not read “Doonesbury” out of a dedication to its evident political bias, but for its exploration of various elements of our popular culture. My other daily reads are: “Dilbert,” “Pearls Before Swine,” and “Calvin and Hobbs” (now in perpetual rerun). E.g., by the 2nd century AD Clement of Alexandria, Miscellanies 1.21. For a fuller discussion, see Steven Hijmans, “Sol Invictus, the Winter Solstice, and the Origins of Christmas,” Mouseion (Series III) 3 (2003): 377, n. 2-3; this is an excellent article (full version here) for a deeper view of things discussed here. See Hijmans, “Sol Invictus, the Winter Solstice, and the Origins of Christmas,” 378ff (and be sure to read the footnotes). For the Chronography of 354, see the excellent online version at http://www.tertullian.org/fathers/index.htm#Chronography_of_354. There are other dates more specifically associated with Sol Invictus; Sol is not named on 25 December, and it is not clear that the games instituted by Aurelian are the ones on that date. So today (still, barely, as I write this), 21 December 2018, is the Winter Solstice, making it first day of winter; and tomorrow is a full moon. Though we refer to them in terms of full days, both the solstice and full moons are momentary events: when the sun is at its southernmost point in the sky and when the moon is 180° from (opposite of) the sun, respectively. Those moments occur this year within a 24-hour period. Thus they effectively coincide, as we cannot discern the difference visually. For example, the moon appears “full” tonight, but will not technically be so until tomorrow (December 22) at 11:49 CST (17:49 UTC). And, the sun’s rays penetrate to the burial chambers of the tombs described in my previous post (here) not only on the solstices, but on the few surrounding days as well. While researching how accurately the ancients could discern these phenomena, I stumbled upon an interesting (to me, anyway) bit of cultural information. It turns out that “halcyon days,” a term now used for a period of calm or peace (frequently nostalgically), originally referred to the few days surrounding the Winter Solstice. For this, we turn to Classical mythology. A relatively little-known myth referenced by several ancient writers holds that Alcyone, daughter of Aeolus (guardian of the winds), married Ceyx, son of the morning star (Lucifer! ), and together they ruled the city of Trachis in Thessaly. Some sources report that they loving referred to each other as Hera and Zeus, which offended the real gods. 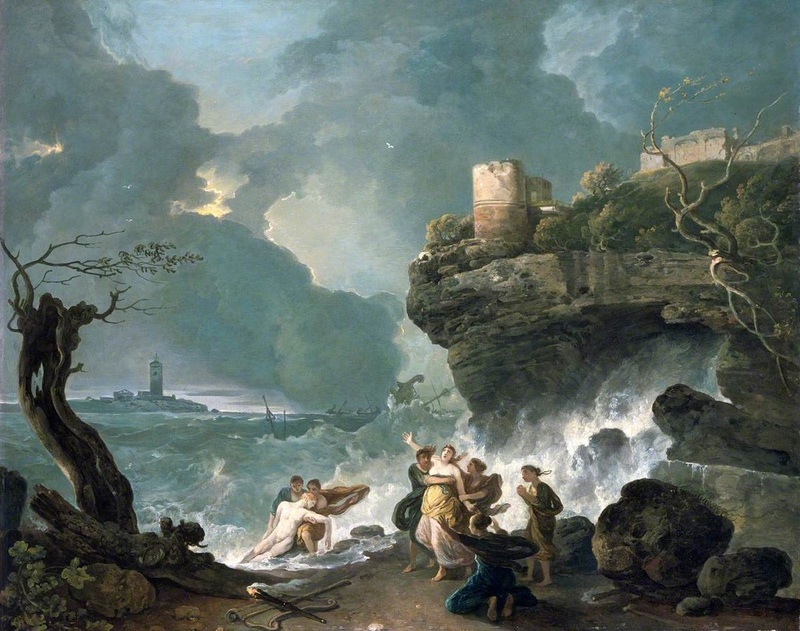 Ceyx embarked on a journey to consult the oracle at Claros, across the Aegean, and the offended gods allowed a thunderstorm to capsize the ship, drowning Ceyx. In her sorrow, Alcyone hurled herself off a breakwater to certain death, but was transformed by some merciful unnamed deity into a Kingfisher; halcyon in Latin, from the Greek αλκυών. With dead Ceyx also thus transformed, the pair nested and Alcyone laid eggs which were sheltered from winter winds by Aeolus for seven days (Ovid, Metamorphoses 11. 410-748) preceding and after the Winter Solstice (Plutarch, Moralia. Whether Land or Sea Animals Are Cleverer 35). These calm days were called “halcyon days” by ancient sailors (Hyginus, Fabula 65), who greatly revered Alcyone on account of their safe passage at that time. My own experience of getting out an about in the days around the Winter Solstice have not evoked the phrase “halcyon days” —especially today, as I navigated among hordes of crazed shoppers to and through various local businesses. It seems we have created the very opposite of halcyon days in this season. And as Winter Solstice 2018 heralds the heaviest travel day for Christmas 2018, air, land, and sea-farers in the eastern U.S. are facing treacherous weather. May we fare better than Ceyx and find mercy from a known God. My comparison of Christmas Chaos to the Halcyon Days of yore brings up the question of the relation of yuletide to the Winter Solstice. Is there a connection? Could be . . .
Next: Winter Solstice and Christmas, Or: How I Stopped Worrying [about How to Express Christmas Greetings] and Love the Season. Today (21 December 2018) the Winter Solstice will occur at 16:23 (4:23pm) CST (22:23 UTC). It is the moment at which the Sun is directly above the Tropic of Capricorn, its most southerly point in Earth’s sky for the year. The Winter Solstice marks the official beginning of winter and is the origin of much tradition and practice in human culture—perhaps to include when we celebrate Christmas (we’ll get to that in a subsequent post). There are plenty of sites that explain the solstices; earthsky.org has perhaps the coolest visual representation here. 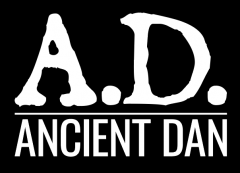 As usual, Ancient Dan focuses on the ancient and weird connections; and a three-part series is anticipated. Our modern lives are too indoor, too climate-controlled, and too well-lit for a constant awareness of celestial phenomena. The ancients, however, were keenly aware of such things. Hence our calendar months; though adjusted for the solar year, they have origin in the ever-visible cycles of the moon. The struggle to reconcile lunar cycles with the solar year dominate the history of the calendar and its religious ties. Which heavenly body should dictate human ritual? The moon has a rhythmic influence but the sun rules the sky as the “greater light” (Gen 1: 16). * More importantly, for our purposes, the sun clearly determines the seasons. The influence of the sun on daylight time and seasons is more pronounced at higher latitudes (meaning more northerly for the Near East and Classical worlds). So, it is not surprising that alignments to solar phenomena are more obvious in megalithic monuments in northern Europe. Stonehenge is the most famous example, but there are others. The most interesting are tombs, such as Newgrange in Ireland (see a good overview site here). Newgrange is a Neolithic “passage tomb,” in which a narrow passageway of megalithic stones leads to a built chamber under a tumulus mound of stones or earth. At Newgrange, the sun penetrates into the tomb chamber at sunrise on a few mornings immediately around the Winter Solstice. This phenomenon is facilitated by a “roof box” opening above the entrance that permits light to stream directly down the 60 ft. passageway. Sadly, photos are impossible in the chamber at Newgrange (crowds and rules). Happily, there is another site that is more remote and less controlled with similar features. From an engineering point of view, it is tempting to ascribe a stress-relieving function to the roof-box (i.e., to take pressure off the entrance lintel). But, roof-boxes are not a consistent design feature of passage tombs. For example, the adjacent Cairns at Carrowkeel (Cairn H, pic below, and K) have no roof-boxes, despite an apparently greater mass of tumulus stones above the entrance. As at Newgrange, the alignment of the rare roof-box at Carrowkeel Cairn G seems significant. The sun shines directly through it to the back of the tomb chamber at sunsets on days surrounding the Summer Solstice. As there are no written sources in the Neolithic period (these things date to about 3200 BC), scholars must extrapolate the intended significance. It usually goes something like this: the sun was seen as in decline or even dying during its annual reduced time overhead and recession to the south; the Winter Solstice marked the end of the sun’s decline and beginning of its growth; the Summer Solstice, then, marked the beginning of the sun’s decline; and this cycle was celebrated in solar worship and as a form of hope for the deceased. While I don’t want to recommend Pagan religion, it is interesting to speculate that they may have found some comfort and hope in a generally depressing part of the year. Maybe that aspect is part of why we celebrate Christmas when we do (but, again, more about that later). Certainly Christmas is a promise of redemption in a tough season. Meanwhile, back to Newgrange. The interpretation usually assumed (as above) holds that the Newgrange tomb is oriented to mark the end of a downturn (death of those buried within?) and the hope of increasing light, warmth, and life with the sun’s reversal. Perhaps ironically, our visit there was 10 days after life as I knew it suffered a sudden and unexpected “death.” But it was at Newgrange that my wife and I met new friends that continue to bring joy to our life as we now know it. Next up: Winter Solstice and Halcyon Days (which sounds counter-intuitive): Click Here! *Then again, as noted by Pink Floyd, “the sun is eclipsed by the moon” (see here for some eclipse thoughts involving PF).